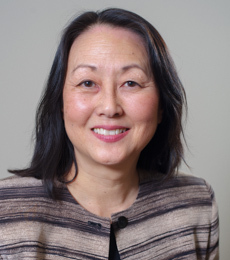 Vicki Nishioka is a senior research advisor at Education Northwest with extensive experience in evaluation and technical assistance focusing on bullying and harassment, early childhood education, and special education. In the classroom and elsewhere, we interpret what others say and do through our own experiences, values, and beliefs—as well as our knowledge of the other person or people. For educators, communicating and having a shared understanding of social and behavioral expectations with students from cultural backgrounds similar to our own is pretty straightforward. However, if we don’t know students well, cultural differences can contribute to misunderstandings that lead to feelings of disrespect, which ultimately weaken relationships. I’ve found that building connections with students whose racial, cultural, and/or life experiences differ from ours can challenge us in various ways. For some educators, it can create feelings of uncertainty. Others may need to re-examine their attitudes. For most of us, it requires learning new skills. 2. Know your own perspectives. Be aware of how your attitudes, values, and experiences influence your opinions and actions. Self-awareness will help you more accurately interpret what students are communicating verbally or through their behavior. 3. Make an intentional effort to learn about students’ beliefs, attitudes, and personality; how they react in different situations; and their communication style. Let students know that getting to know each of them as an individual is important to you. Show genuine interest in learning about their opinions, interests, and backgrounds. This is a key component of perspective-taking. 4. Remember: Perspective-taking is a two-way street. When teachers share stories about themselves, it helps students learn about their perspectives. It also helps students better understand the similarities and differences in your background and theirs. 5. Use empathy to provide emotional support to students. Empathy is identifying with the point of view and feelings of another person. Compassion is actively reaching out to help. Both require knowing a student’s perspectives and understanding how they are feeling. Anyone who is upset or frustrated—including students—may need support to engage in the classroom routine. Positive relationships between teachers and students are the bedrock for success in school and beyond. Using perspective-taking skills and related strategies, such as those outlined above, can help educators make them a reality. For more on this topic, REL Northwest has developed a video that features two high school teachers from Salem, Oregon, who are skilled at using perspective-taking and empathy to develop positive relationships with students.